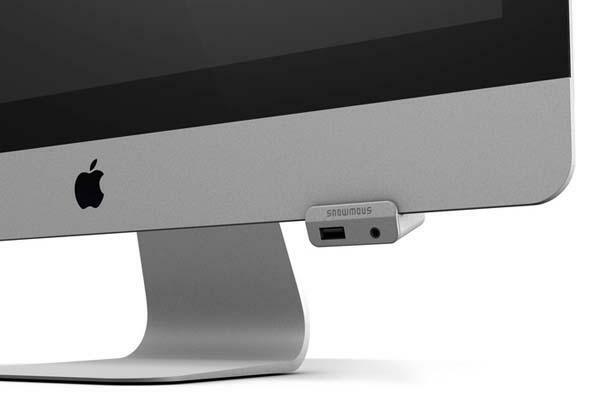 Need a handy way to access the rear USB port and headphone jack of your iMac? Take a look at Snowmous’s AccessIO, the USB device may be able to meet your requirements. AccessIO is a simple and practical USB device designed to offer you an easy way to use iMac’s rear USB port and headphone jack. As we can see from the images, the USB device features ultra compact design along with sliver coating in order to fit for the gorgeous design of your iMac. 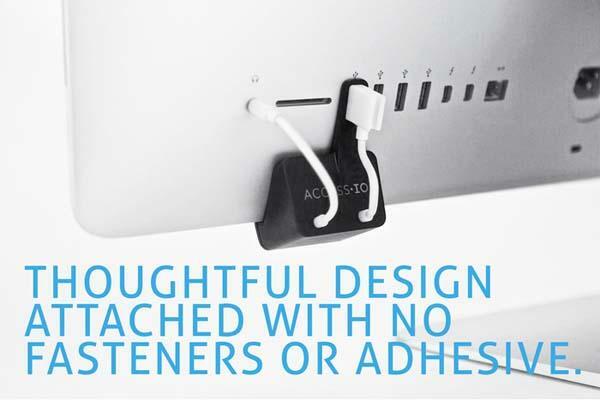 Using its custom designed groove and arm you can easily attach AccessIO at the bottom edge of your iMac and connect it with the rear USB port and headphone jack, while its front-facing USB port and audio output allow you to conveniently connect USB device and headphone with the iMac. But note that AccessIO just fits the newest 21.5 and 27 inch iMac models released in Nov 2012. At present the inventor of AccessIO is raising fund at Kickstarter. Pledging $20 will let you own the USB device. If you’re interested, jump to Kickstarter official site for more details. Well. This page was the end of a search that was specifically made to find just this very device. What is VERY disappointing? That the pledging since 2012 has resulted in nothing. I have thought to make my own such gizmo designed for my mid 2011 (last one before the slim design..) and since I use my optical drive for a SSD I thought I could hang a strip of front facing interfacers up there. Very disappointing and especially for folks like myself who love and use their mac every day.. I guess we desk top users are a dying breed? Sorry for the confusion, but I have to clarify the two links. One is our own link, and another is an external link to the site where you can find the product. We used Google Short Link to short the link just for beautiful to look at. Our site can’t get any profit from the shortened link.